Following a steady slew of good news from Charli XCX, we have a bit of a downer: the release of her sophomore album Sucker has been pushed back from October 21 to December 16 in the US. The album won’t see light in Europe until next year, with January 26 set for the UK/Europe drop date. The singer took to Twitter to explain the delay, citing the better-than-expected success of “Boom Clap” as being a major reason. She assured fans that “nothing’s WRONG the albums DONE” and that she just wants to make sure she “can launch the album properly.” It’s quite possible an ostensibly bigger and better marketing plan is worked out. See all the tweets below. There’s also a new album cover to soften the blow – that’s it, up at the top of this post. She will also be leaving for her North American tour in a few days. In terms of being “a victim of her own success,” an album delay isn’t too terrible. Revisit some recent examples of the pop star’s recent rise with the “Break the Rules” video, a live performance of a new song with Iggy Azalea, and the news that she’ll also be on a Sky Ferreira track soon. 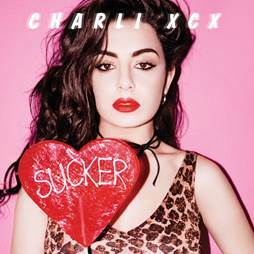 Ok so it wouldn’t be a charli xcx album without a date change……. Tyler raves about movies on the Let The Right Films In podcast. Listen to him make jokes over his beleaguered cohost Kayla St. Onge and their more qualified guests who deserve so much better at soundcloud.com/ltrfipod. Find him on Twitter @tylerhanan. « Today In WTF News: Will ‘Deadpool’ Be PG-13?